Our roastery is nestled in the small town of Truckee California sitting at an elevation of 6001 ft. in the eastern Sierra Nevada mountains. 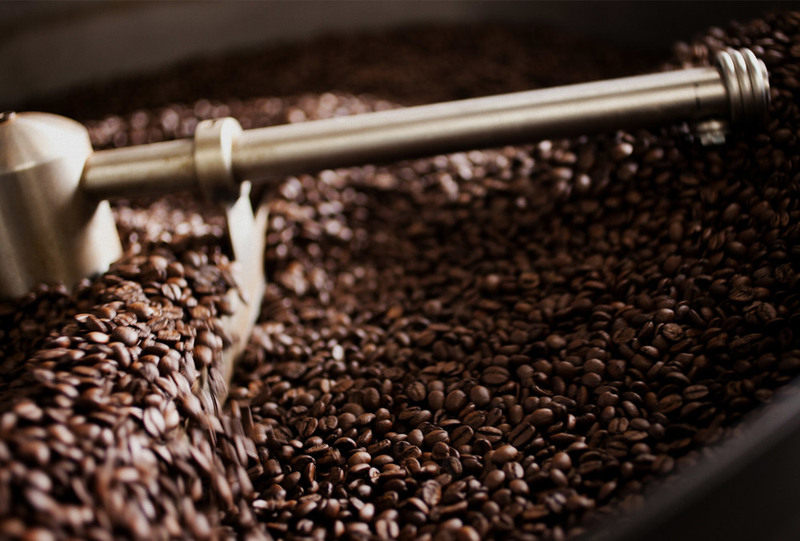 We roast the beans in small batches while carefully monitering to ensure quality outcome of each and every batch. We take the extra step in finding growers who work in harmony with the land as well as foster the well being of the farmers, their families and communities. Sierra Pacific Coffee Roasters uses specialty grade, fair trade and organically grown Arabica coffee beans which are grown at high altitudes from Africa, Indonesia, Central and South America. Here at Sierra Pacific Coffee we spend a great deal of attention on the more complex aspects of the process so that we can consistently provide you with coffees of distinction. We use only specialty grade Arabica beans. Where a coffee comes from greatly influences its taste. The global region, county, local area, and individual farm all influence the final product. Our single origin coffees are selected from regions where we find the tastiest coffees that will fit our specifications for body, acidity, aroma, and flavor. The most important thing to know about the history of coffee is that much of it has yet to be written. The possibilities of coffee are endless, the different styles of roasting, the many methods of processing, organic fertilizers, the range of its flavor potential, and the characteristics of the various sub species of coffee trees; all of which are still only partially understood. We as connoisseurs must educate ourselves on the never-ending mystery, that we call coffee. Experimentation is key to knowledge. Cup frequently, and don't hesitate to try something new, perhaps it just might surprise you. This passion of becoming a roaster started 30 years ago. Never losing sight of my goal to production roast, my dream came to fruition in 2015. As a home roaster, I have nano roasted some of the finest coffee beans from around the world. The knowledge gained by attending the Texas Coffee Business School helped me understand the intricacies of a coffee shop business. While my education with Wilheim Boot Camp for Coffee has inspired me as a roaster to appreciate all aspects that are involved to provide the best tasting coffee from seed to cup.